I know it’s a bit cliche to start the year providing recipes for foods like smoothies, soups and salads, but I really do think it’s what my body wants right now. Cheese-smothered biscuits and Frito pie isn’t the thing my mind is gravitating towards–even though I do love those foods with all my heart. If you’re unfamiliar with acai, not to worry; I actually hadn’t heard of it until a few years ago. A large part of my Colombian family moved to Brazil during the 80s, which means a big part of my family is now Brazilian. 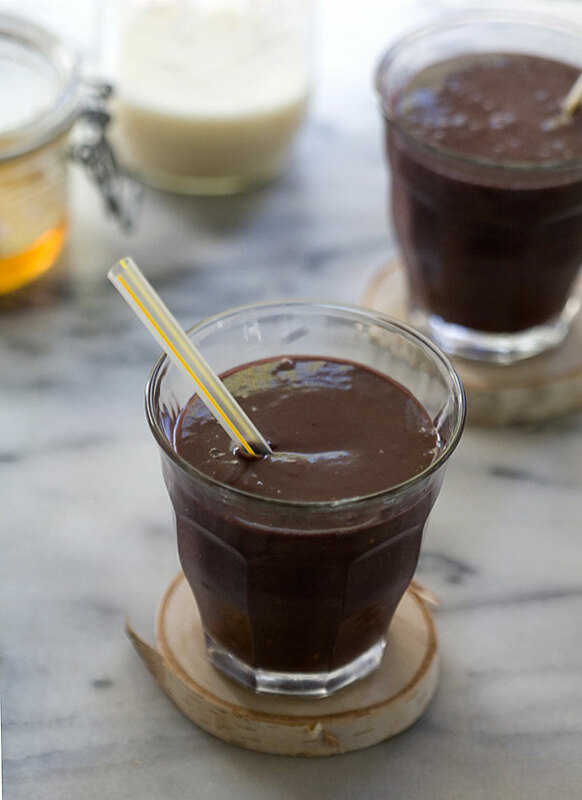 A few years back, my grandfather was visiting from Brazil and introduced me to acai – a small Brazilian berry with a beautiful deep purple hue. 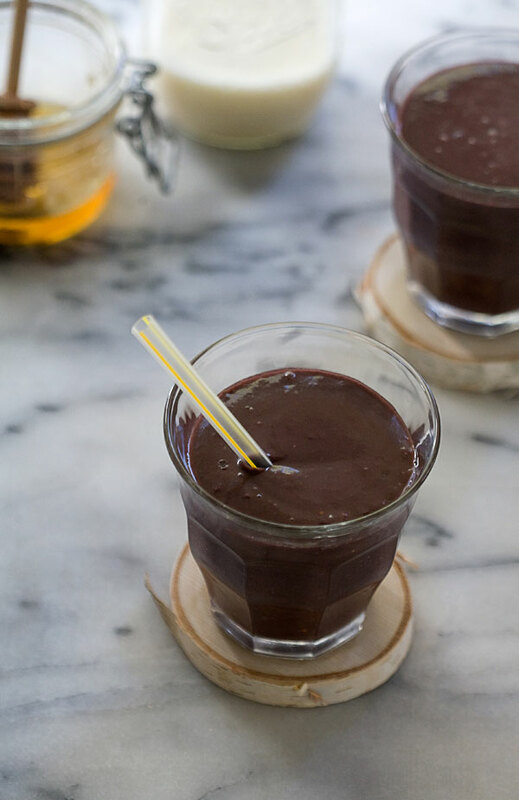 Acai is now considered a “superfood” by many due to its large amounts of antioxidants, amino acids and omega fats; all which help boost your immune system and metabolic functions. Finding the berries themselves in the States isn’t the easiest, but acai is most readily available in frozen puree. I found mine at my local health food store (and Whole Foods) in the frozen foods section. 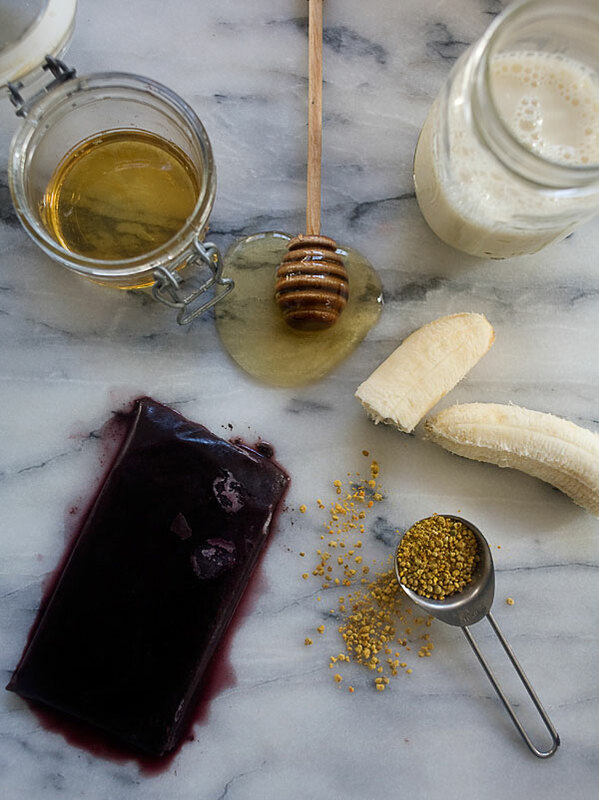 I love adding these packs to the jar of a blender, adding a few of my other smoothie extras like bananas, almond milk, bee pollen and a drizzle of honey. It’s a good way to kick off each morning in 2014. Place all of the ingredients in a blender and pulse until smooth, about 1 minute. Divide the mixture between glasses and serve.